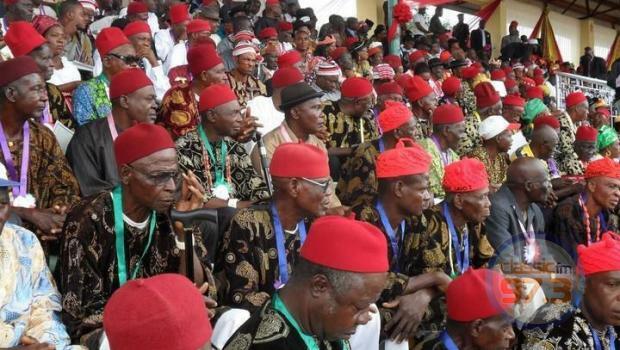 Are the Igbos bad at politics? Fifty years after independence, we are yet to produce a president while we watch others take multiple turns. This however is against the backdrop of what it used to be after we gained our independence in 1960. The Igbos held top government positions in the centre just like the late Dr Azikiwe, a former head of state and Gen. Aguiyi Ironsi, leader of the first military government. 50 years after, things have gone sour for the Igbos as just recently, one of the closest Igbo men to the President Muhammadu Buhari, Dr. Chris Ngige Onwa, could not even win the last senatorial election in Idemili South. That’s how bad things are right now at the moment! We all know that an average Igbo man is an entrepreneur. We all know the Igbo people, are never tired of new ideas as far as they may bring us more money. The question is, who is to be blamed for this, our Igbo leaders or the Igbo populace? Recently, one of us, Ifeanyi Ubah displayed uncommon patriotism by deciding to release fuel to the Nigerian market at normal prices. However, there were some people who started criticizing this act of true patriotism by our brother and not surprising; some Igbos were part of the critics. However the major problem over the years has been, our Igbo leaders picking one of us and placing them to the centre but rather seeking assistance from others, they trying to run a one-man show. Until we learn to coexist with others instead of our ‘better than thou’ attitude when dealing with the Hausas and Yorubas, we will continue to make the same old mistakes. If we manage do this with few political calculations we will be at the right place that is the zenith of the Nigerian political affairs, not struggle for the post of the secretary of the federal government. But the uncertain question is, Can we ever have an Igbo president in the nearest future? If you are of Igbo origin I call on you to answer.